God Reaching Abounding Caring Eventually. Redeemer from heaven sent down to die. Eternal life – a gift to all who receive. Sonnets and songs have been written to rejoice in God wonderful saving grace. Talks and testimonies reminding us that it is all about God’s unmerited favour to us. G..It is God . . It’s about what God does, not me. R..It is God Reaching. . down and initiating reconciliation of man to Himself. A..It is God’s Abundantly giving us more than we could ever expect or deserve. C..It is about God Caring enough to send Jesus to die in our place. 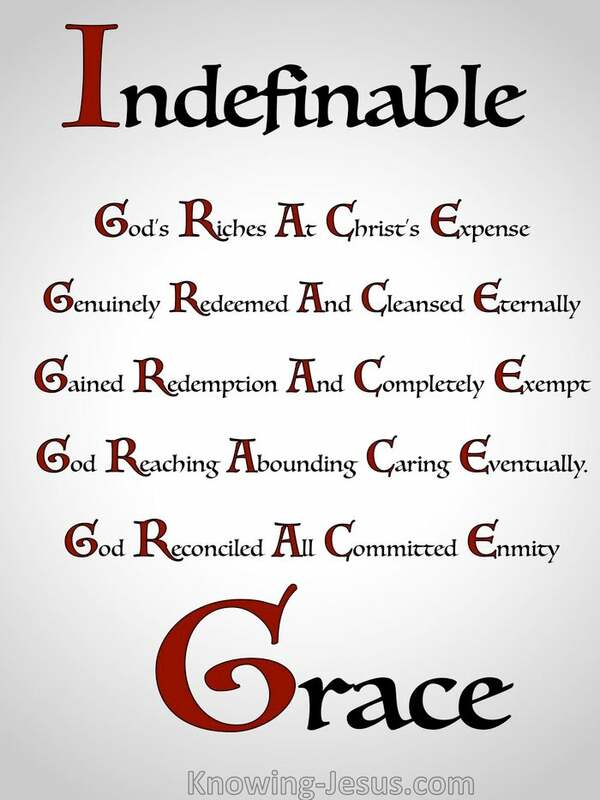 E..It is about being Eternally unendingly, unconditionally accepted in Christ. Grace is a familiar concept to believers but over time has lost some of its dynamic. The all-encompassing nature of grace eludes any genuine, all-inclusive definition. Grace has its roots in the infinite nature of God and its fruit in His eternal attributes. Grace is founded on the sovereignty of God and shows forth His unconditional love. Grace is God’s overabounding provision, not only in the physical but in the spiritual. Grace not only restores what was lost in Eden but adds to it an unknown expanse. God’s common grace is extended to saved and unsaved alike – all humanity.. for every good and perfect gift comes from above James 1:17 – for God causes his sun to rise on the evil and the good. He sends rain on the righteous and the unrighteous .Matthew 5:45 God’s gracious provision even provides the breath of the those that curse Him. But there is special grace for those that have accessed salvation by grace, thru faith: Strombeck writes the following: Grace is God’s provision to bring into being, sustain and perfect His new creation in Christ. It is the operation of His infinite love on behalf of such as are worthy of everlasting punishment. This outpouring of God’s infinite love is possible only because Jesus Christ, by His death, fully satisfied the demands of God’s justice. 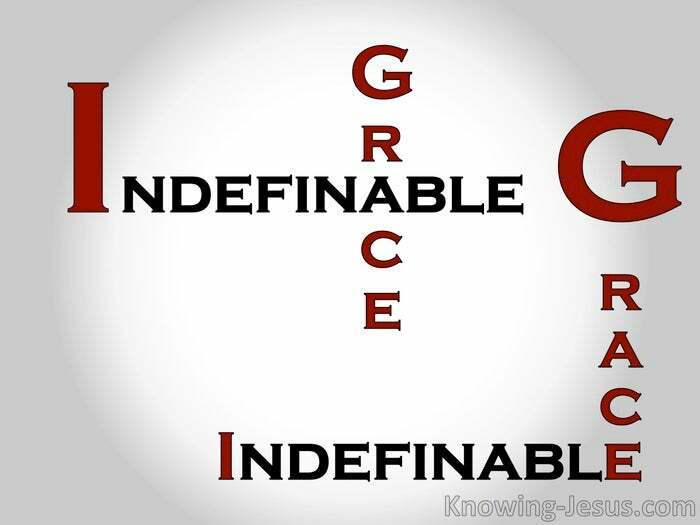 As grace came by Jesus Christ – only those who receive Him as Saviour are ‘under grace’. Let us reflect on the riches of God’s grace towards us. Let us meditate on all that has been poured out on we, who are his children – surely through time and eternity we will be praising God for His indefinable grace.